Specialized Veterinary Services remained open during the construction process. 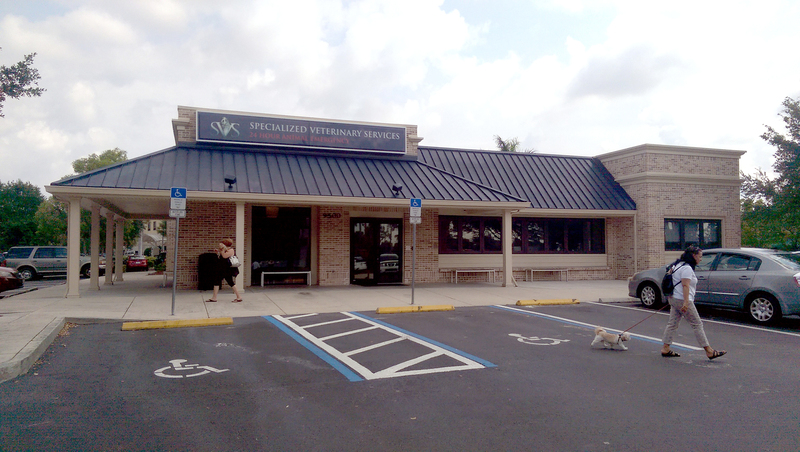 Specialized Veterinary Services of Fort Myers had outgrown its emergency animal hospital, a nondescript one-story, 5,000-square-foot facility. Specialized Veterinary Services prior to the renovation. Courtesy Stevens Construction. But instead of a simple renovation, the practice, partnering with Stevens Construction, replaced its old space with a stylishly contemporary, 18,595-square-foot building that stands out along Daniels Parkway, just west of Interstate 75. • Challenge: The clinic had to remain operational around the clock throughout construction. For minimal disruption and safety, temporary walls were erected to isolate construction areas, allowing surgery and treatment of critical patients to continue. All construction activities were coordinated with the staff prior to start, ensuring surgical procedures would not be compromised. Although Hurricane Irma delayed construction for three weeks, the project was competd on time. All this while continuing to operate, literally, 24 hours a day, seven days a week. Under the leadership of project manager Dan Adams, Fort Myers-based Stevens Construction converted the animal hospital — formerly a Bob Evans restaurant — both horizontally and vertically while it remained open for business. According to Adams, what would otherwise have been a nine-month renovation of an empty space required 16 months to complete. Beyond the esoteric improvements, the expansion allowed SVS to add treatment capacity, expand the lobby to better accommodate large and anxious animals and improve staff accommodations with offices and locker rooms. The treatment area was expanded from four examination rooms to 10, a third operating room was added and a larger holding room was built for patients recovering from surgery or receiving chemotherapy. To improve staff accommodations, the second floor was added to include offices, conference room, employee lounge and a locker room with showers.